Subscription movie theater service MoviePass gained massive popularity last year by offering something so simple and sensible it was unavoidable: a movie a day for 10 bucks a month. But that plan didn’t work for MoviePass’s bank account, and it started bleeding cash and customers. Now, it hopes to make a comeback by... making things extra complicated. The beleaguered execs from MoviePass are doing a bit of a media blitz today with profiles in Wired and the New York Times. The big takeaway is that they want everyone to know that things are fine, totally fine! But they know they’ve made some mistakes and miscalculations along the way. One miscalculation was that they’d be able to lose a lot of money while convincing theaters and businesses that MoviePass was a valuable tool that would eventually become a profitable data-driven ad business. They managed to pull off the losing money part—$137 million just last quarter—but the profit part has remained elusive. MoviePass CEO Mitch Lowe told Wired that the company grew too fast, and paying full price for all of those tickets was too expensive for its proof-of-concept phase. Over the last year, it’s taken customers by surprise as it tweaked its plans with changes like surge pricing, demanding photos of ticket stubs, and my personal favorite, simply shutting down operations. According to Wired, the Better Business Bureau has registered 2,493 official complaints against the company as well as class-action lawsuits and a securities fraud probe. But listen, everything is fine. “I don’t believe that today people trust the MoviePass brand,” MoviePass executive vice president Khalid Itum told the New York Times. Itum is essentially taking over the role of CEO from Lowe but not the title. Lowe is going to focus on long-term planning while Itum handles day-to-day operations. Based on a report from Business Insider in November, that arrangement has been in place for some time and has caused internal confusion with people not understanding why Lowe has been absent. The Select Plan - $9.99: Three movies a month but your choices are restricted to a menu selected by MoviePass that changes each day. This is basically what MoviePass has been offering since August. The All Access Plan - $14.99: Three movies a month and you can see any standard 2D screening of any movie in your area. The Red Carpet Plan - $19.99: Any three standard 2D movies per month plus one Imax or 3D screening per month. These monthly plans won’t be available until next year, but you can go ahead and sign up for an annual subscription for the two more expensive options now. For all of Itum’s talk about being a tech company just trying to engineer the most satisfying experience for users, these changes are far from rocket science. The pricing isn’t that much different from its rival Sinemia, though that service has been plagued with complaints about unexpected fees. 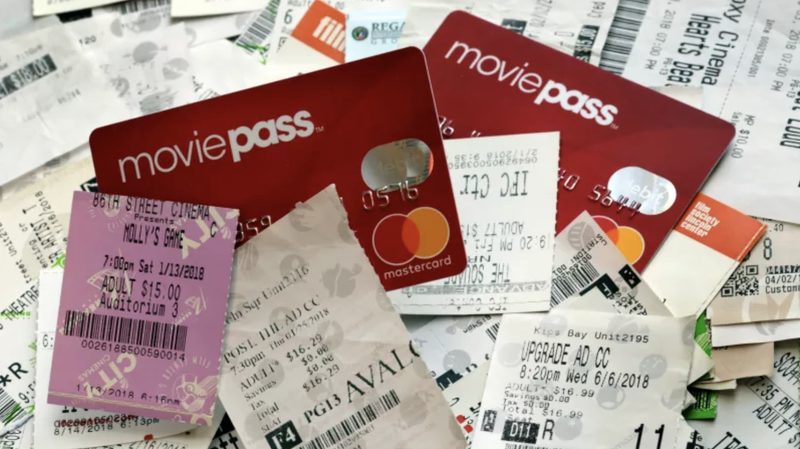 MoviePass is still cheaper than buying tickets the old fashioned way, but it’s only a value if it lives up to its promises and doesn’t shuffle the deck chairs in a month. Itum’s right that MoviePass’ biggest challenge now is to restore users’ faith that they aren’t going to get jerked around again. That won’t be solved by some spiffy profiles. Oh, and the other big challenge is making money. It has to figure that out, too.